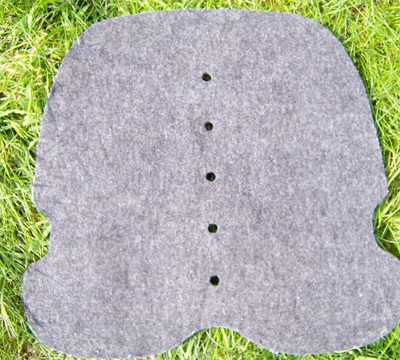 This neofelt saddle pad offers 3/4" of closed cell foam cushioning under your saddle. It is shaped for a rounded skirt and features ventilation holes along the centerline. The pad is 26" long and 27" wide.